One Week Only Flash Sale – Extended! Due to popular demand we’ve extended our Flash Sale, with prices slashed across our entire range of sheds and garages for the rest of the week. The Flash Sale starts 9am Wednesday 28th November 2018 and now ends 6pm Friday 7th December 2018. 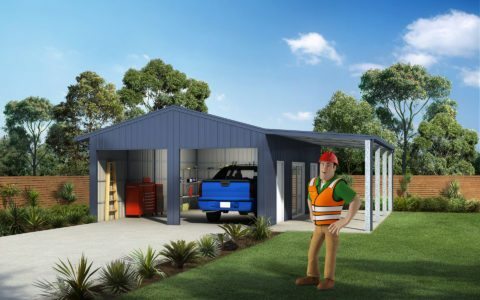 Ranbuild sheds are built tough and SHED SAFE, from genuine Australian Made BlueScope steel, finished in an extensive range of COLORBOND® colours. Whether you’re looking for a new shed, double garage, carport, barn or storage shed, request a quote today for some seriously low prices. To take advantage of our incredible Flash Sale pricing please fill in your details below or call into one of our stores across Australia. Order your new shed or garage on or before Friday 7th December 2018 to take advantage of these incredible prices. These super prices won’t last! *Please note that a payment to manufacture is required on or before the 29th of March 2019.